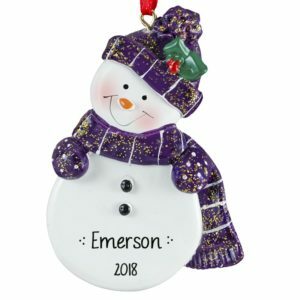 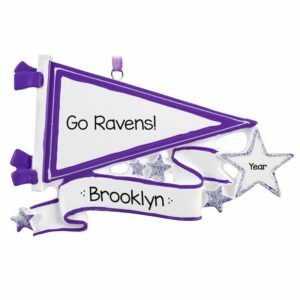 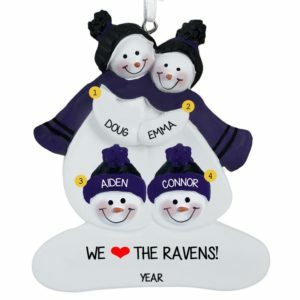 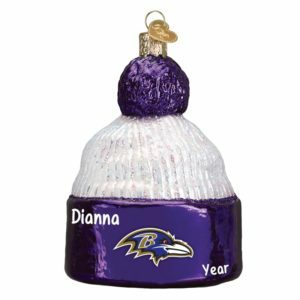 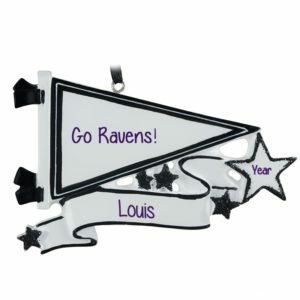 Baltimore Ravens fans are sure to score big when selecting or receiving one of our personalized NFL licensed Christmas ornaments to decorate their tree. 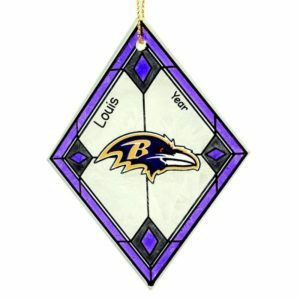 Select from stained art glass, team helmets, high heel shoe decorations, stadium seats, lil players and more. 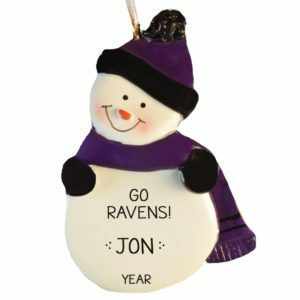 All of our holiday decorations can be personalized with the fanatic’s name and year. 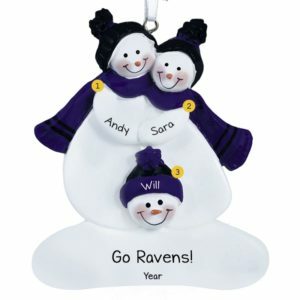 Allow one of our highly skilled writers add a sentiment too if the space allows. 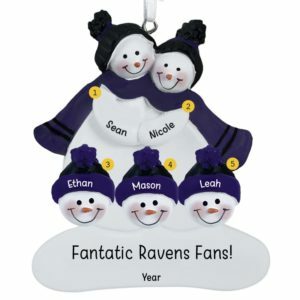 Many of our Ravens keepsakes are officially licensed by the NFL and are big sellers for us year after year. 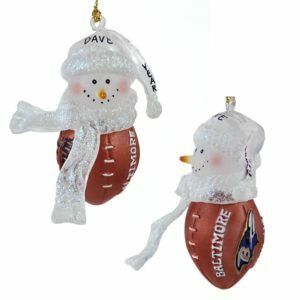 These items feature the team colors and logo on the holiday ornament. 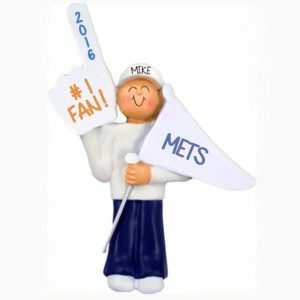 Be sure to purchase your favorite team collectible early in the season to avoid a penalty for late shopping. 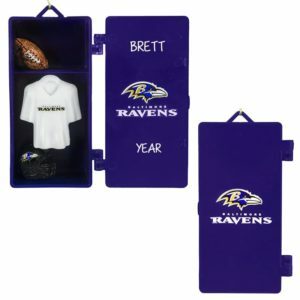 Baltimore sports fans will surely admire these keepsakes throughout the year and display them in garages, man caves and maybe even at a tailgate party. 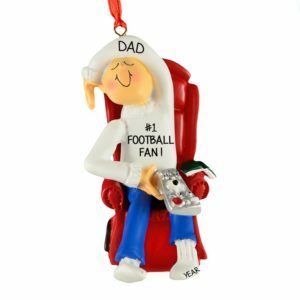 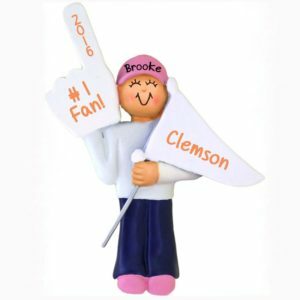 Attach one of these affordable NFL football personalized Christmas decorations to tickets to the game and watch the lucky recipient do their special end zone dance!